Travel from Whitehorse to Haines Junction on the border of beautiful Kluane National Park in Canada’s north-western Yukon Territory. Spend two nights viewing the magnificent northern lights, dogsledding, and snowmobiling at picturesque Kathleen Lake, and spend a day at the Shakat Tun Wilderness Camp to immerse yourself in traditional First Nation lifestyle. Find out more HERE. Experience the ice bubbles phenomenon along Alberta’s famous Icefield Parkway during winter , where tiny gas bubbles of all shapes and sizes are trapped beneath the surface of frozen lakes, like shimmering frozen jellyfish. Witnessing this extraordinary natural marvel is simple with transfers newly available between Banff and the Icefield base of Rockies Heli Bubble Tours. Settle into a fully-equipped glamping dome at Cielo in Haut-Shippagan, in Canada’s eastern province of New Brunswick. Disconnect from the real world in this unique sanctuary that lies between sea and forest on the Acadian Peninsula, and enjoy breathtaking views of its famous sunsets over the sea. In July 2019, RBC Ottawa Bluesfest celebrates its 25th anniversary. Don’t let the name fool you; the RBC Bluesfest includes acts of all genres of music, from rappers Schoolboy Q and Future, to folk band City and Colour, to rockers the Red Hot Chili Peppers. This two-week event takes place in the heart of summer at Ottawa’s LeBreton Flats. 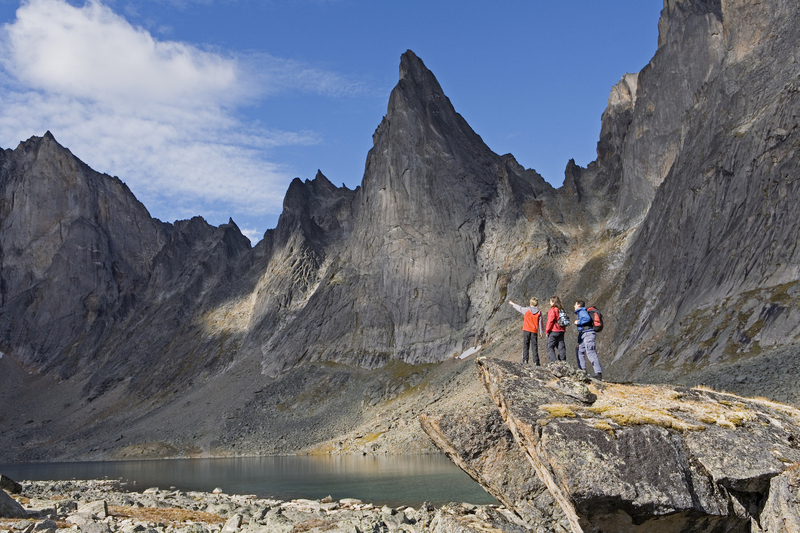 Cruise along the remote Dempster Highway and take in panoramic views of the jaw-dropping Tombstone Territorial Park (pictured above) in Canada’s Yukon Territory. During a one-hour guided hike along rugged peaks and remarkable permafrost landforms, you’ll feel like you’ve truly reached the ends of the earth. Keep your eyes peeled for the abundant wildlife, including bears and moose, who roam the area. Round off this incredible day with an aerial tour of Ogilvie Mountains and Tombstone backcountry. Your Klondike Experience guide will share the history of the area and take you to the best wildlife-spotting locations (image attached). The new NBexplorer Tours are designed to give travellers a first-hand experience of life in Canada’s Maritime provinces. Take a walking tour of historic Moncton, learn to shuck your own oysters, make your own lobster rolls, or kayak the stunning northern coast of Grand-Anse, where you can feast on mussels in one of the many caves along the majestic sea cliffs. In November 2019, Canada’s Wonderland in Toronto, will host an immersive Christmas-themed experience. The park will be transformed into an enchanted winter wonderland, complete with dozens of Christmas trees, millions of spectacular lights, ice skating, live entertainment, and hands-on family fun. WinterFest, Canada’s newest winter festival, is set to attract hundreds of thousands of locals and holiday-makers.